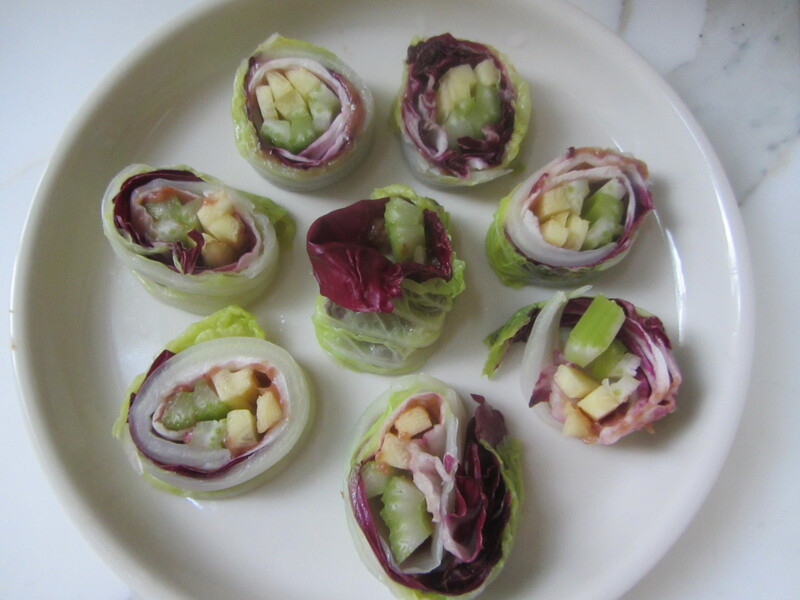 These crunchy, refreshing rolls are a Sunday morning favorite in my home. 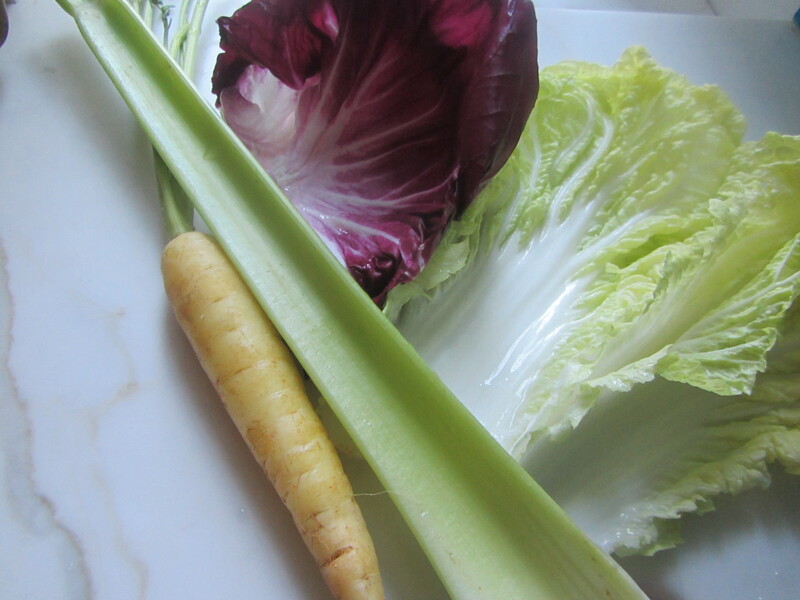 Made of napa cabbage + radicchio + yellow carrots + celery, they balance your condition because they contain a root vegetable (carrot) + a round vegetable (cabbage) + a stalk (celery) + a leafy vegetable (radicchio). It is no coincidence that they also contain many of the colors of the rainbow. Process Wash the cabbage and radicchio leaves well. Scrape the tough outer skin of the carrot; wash it and set aside. 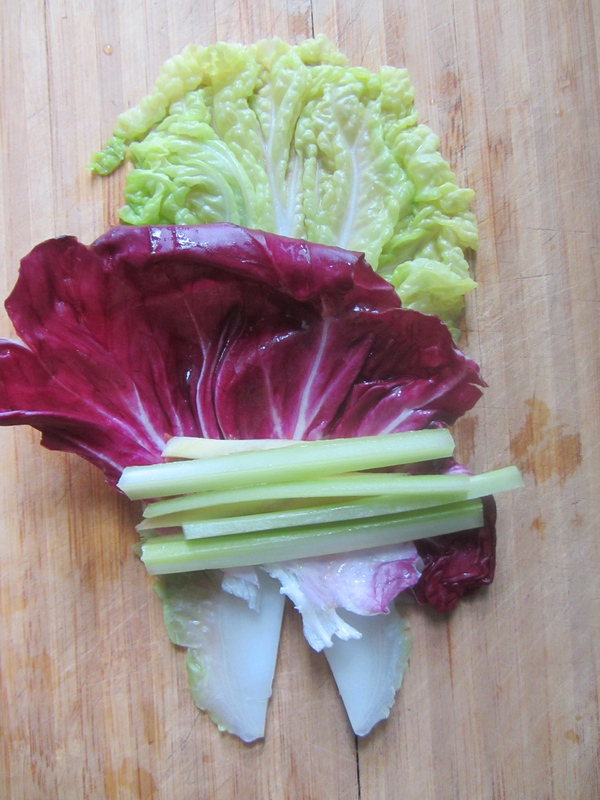 Clean the celery, trimming the top and bottom edges and any stray “hairs” on the side. Fill a deep, large skillet three-quarters full of water. Add a pinch of sea salt and bring the water to a boil. 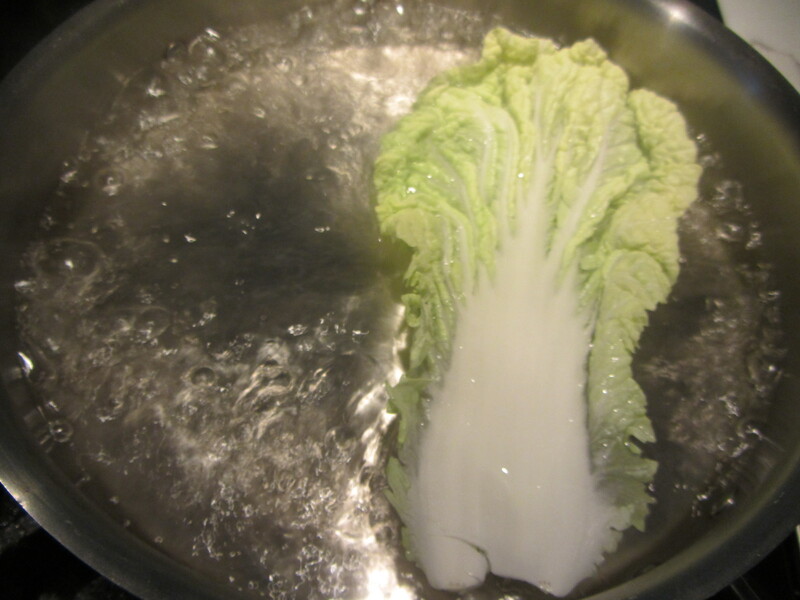 Immerse each of the napa cabbage leaves, one at a time. When it floats to the top of the water (after about 10-30 seconds) it is done; remove it with a wire mesh skimmer or a slotted spoon. 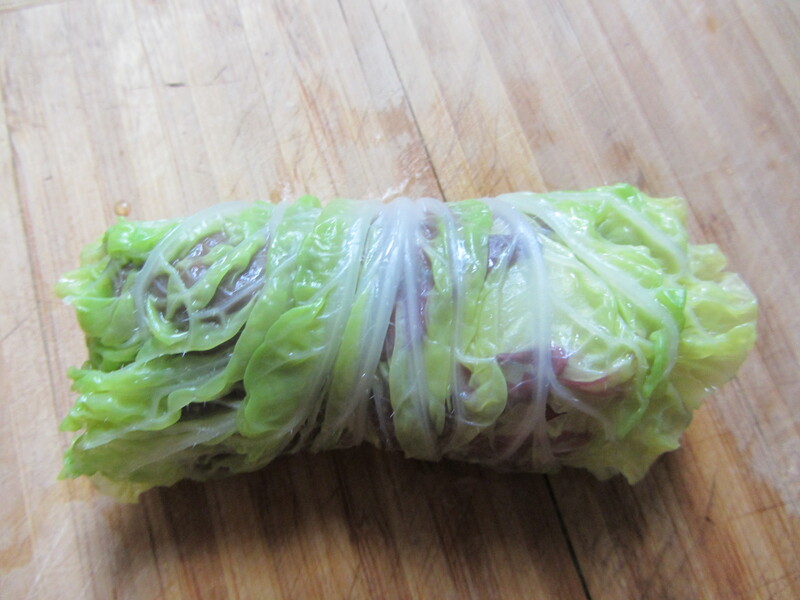 Carefully without tearing it, place each Napa cabbage leaf on a large plate and allow to cool. 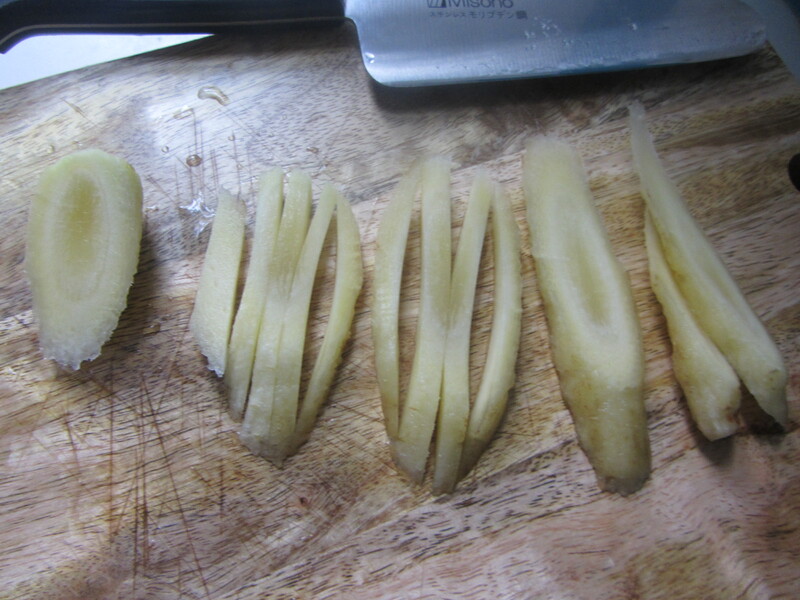 In the meantime, slice the carrot into thin (quarter-inch-thick) ovals. Then slice each oval lengthwise into matchsticks. Set aside. 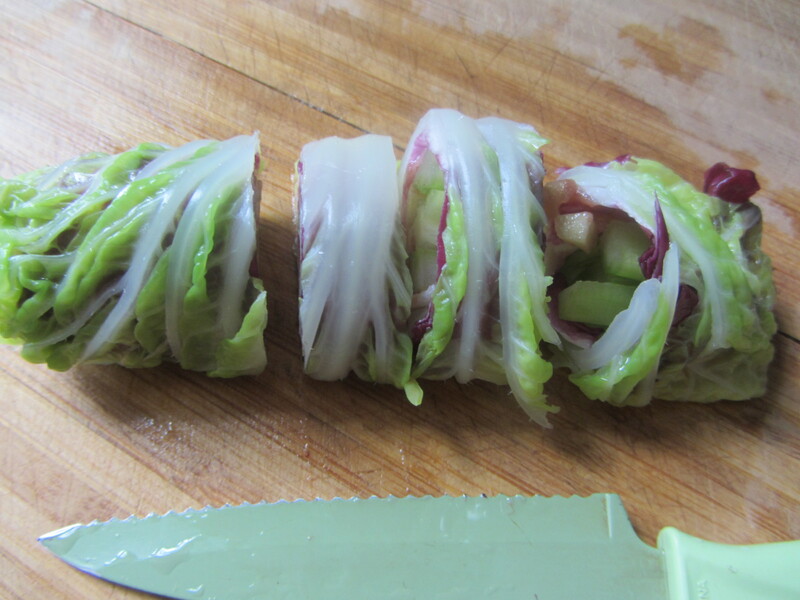 Slice each celery stalk in thirds. Cut each section into matchsticks (about one-eighth-inch-thick) and set aside. Now you are ready to roll up the roll-up. 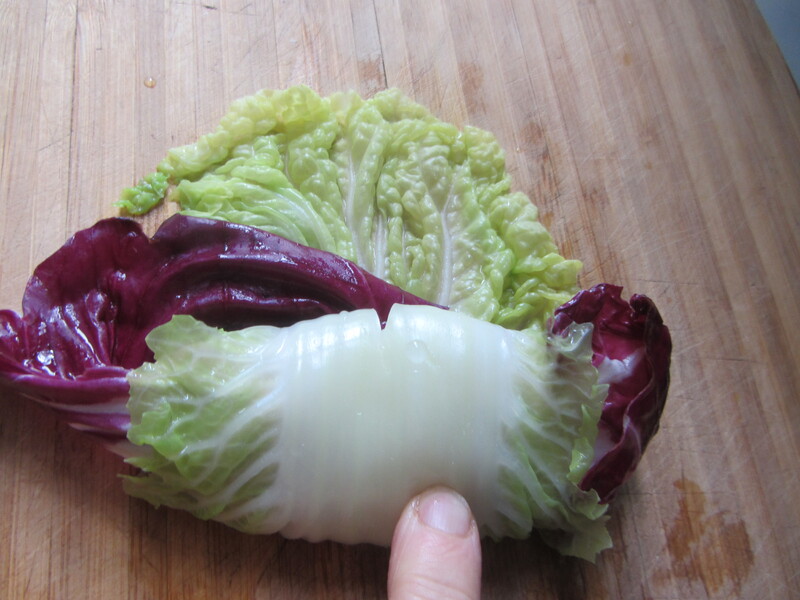 Place a napa cabbage leaf on a wooden cutting board. 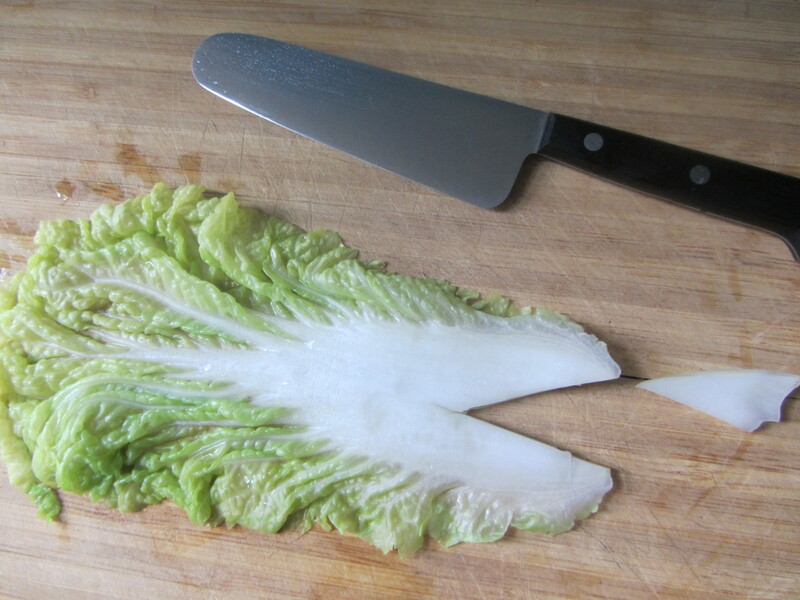 Cut an upside-down “V” into the bottom, thick white part of the leaf. Remove it. Next place one of the radicchio leaves on top of the cabbage leaf. 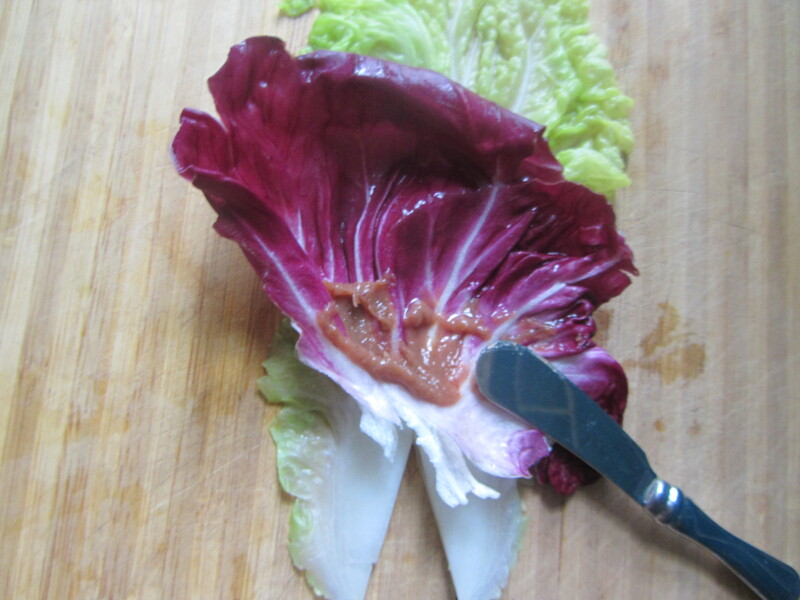 Spread a half-Tablespoon of the ume plum paste on the horizontal (east-west) lower mid-section of the radicchio leaf, if desired. Place 4 to 6 of the carrot matchsticks horizontally across the radicchio leaf, right over the plum paste. Place 4 to 6 of the celery matchsticks on top. 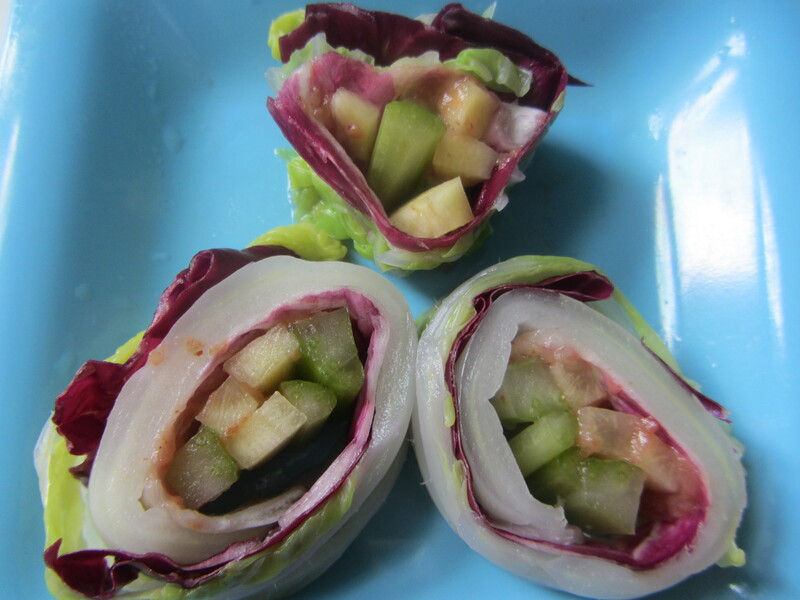 Begin at the bottom of the napa leaf and roll the bottom part over the filling (carrot and celery sticks). Keep rolling until you have created a tight cylinder. Squeeze it to set it in place. Now slice the roll into inch-wide pieces. and serve with soy sauce for dipping.